We all have been waiting for the BAAD2017 wedding. The wedding was all glitz and glam as every Nigerian celebrity attended the wedding in style. The couple of the day definitely stood out. Mrs. Adesua Wellington definitely slayed in all the dresses she wore.. 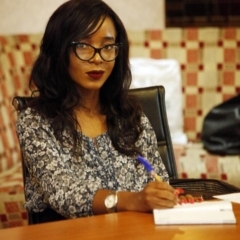 Kudos to the renowned Fashion Designer Toju Foyeh. Fashion designing is about originality. It is about the unique expression of a designer. It is primary to note that what can make a design unique can be tricky. 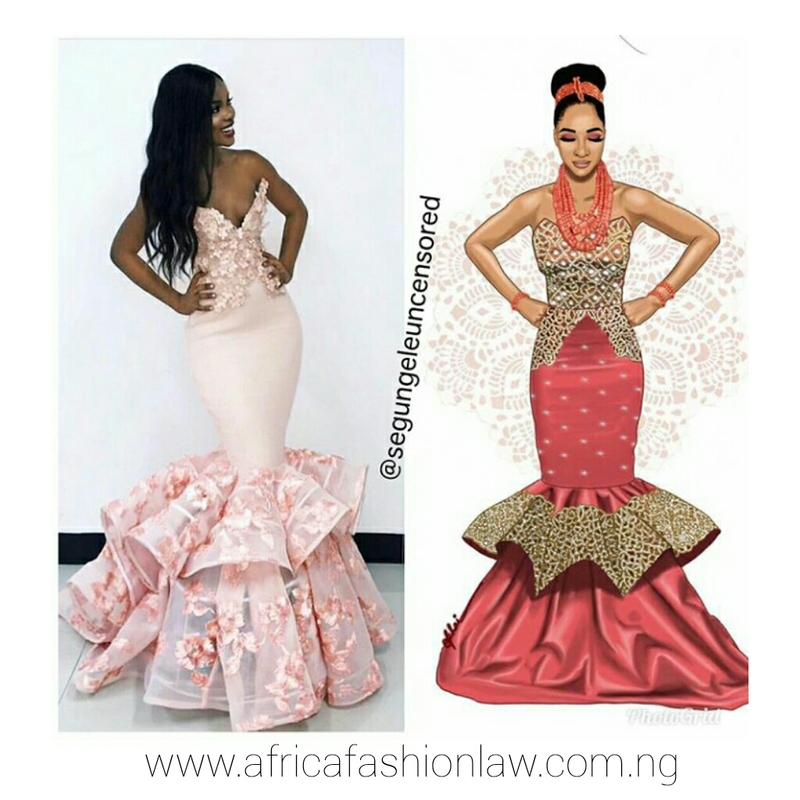 The design by Toju Foyeh can be called a derivative work and not a copied work. There are clear differences between the two designs. 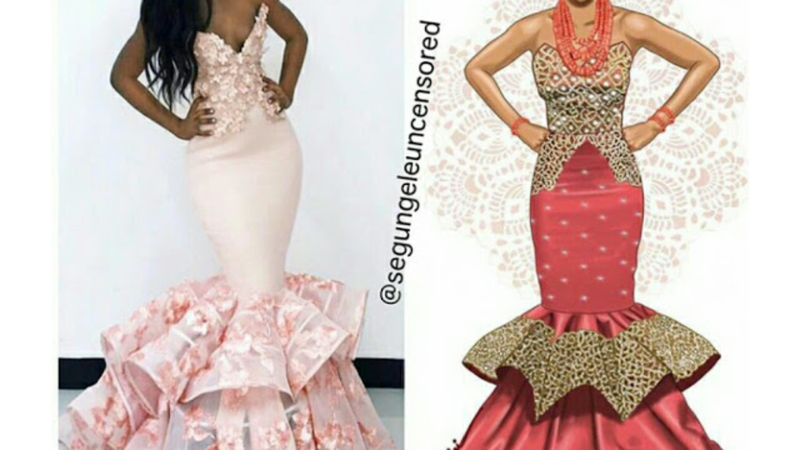 In fashion, certain similarities might look like copying. 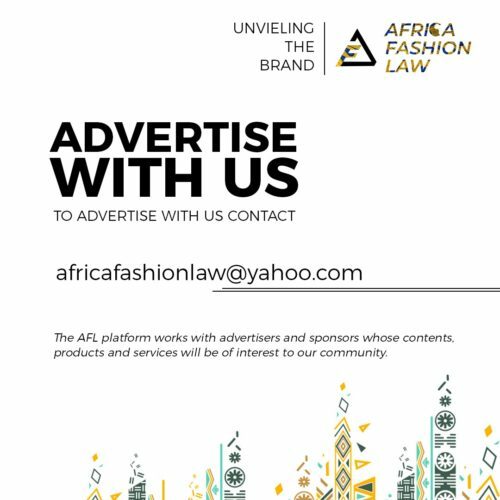 Fashion designing is based on evolved designs so there really is no new design under the Sun, just designs with alteration. 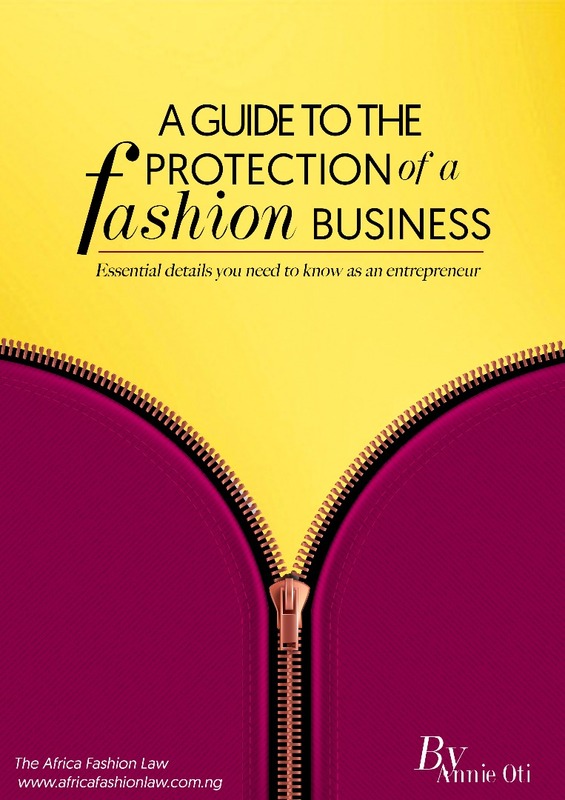 Fortunately, the law recognises the difficulties which the fashion industry faces in this regards. The image above on the right is one of the piece from Eliesaabworld collection. 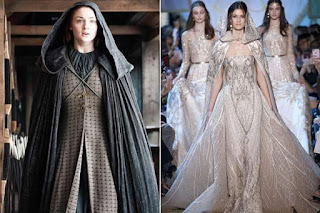 The designer was inspired by the attired used in the game of thrones. Once the designer launched the collection. The designer acknowledged The GOT series. As a designer, it is appropriate to acknowledge other designers when you get an inspiration from their work. The dress made by Toju Foyeh is a derivative work, and it definitely isnt a copied work. She could have basically given credit to whoever she got the inspiration from. 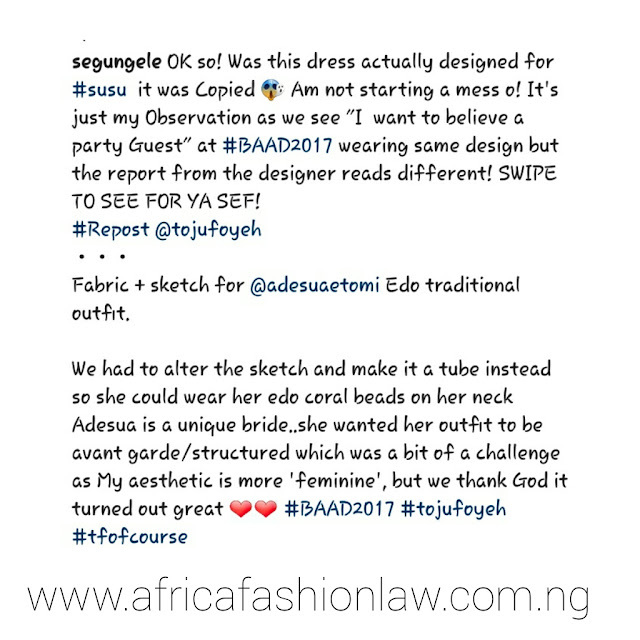 Also Segun Gele was supposed to send a DM or a personal message telling her to acknowledge the actual designer.